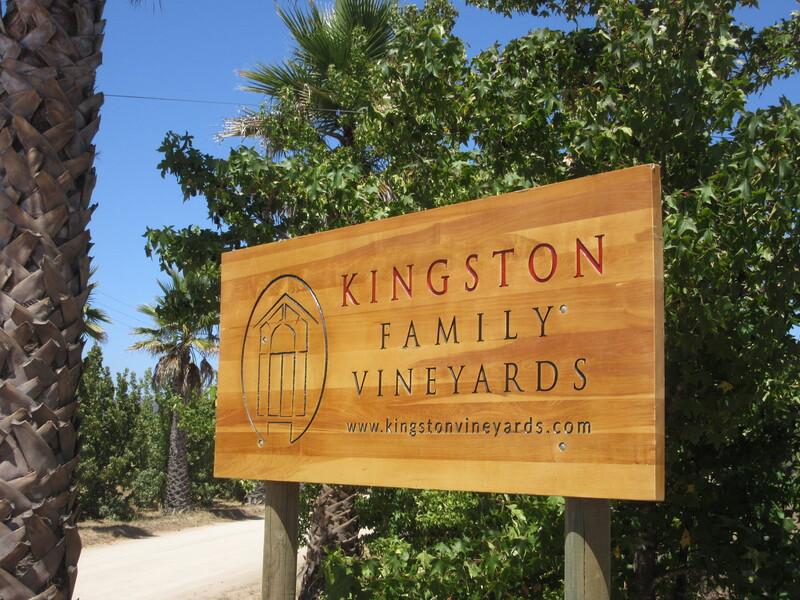 We visited just one winery in Chile, Kingston Family Vineyards, and we think we picked the best one! The Kingstons visited Hotel Tierra Patagonia in Torres del Paine several years ago. They liked the hotel and the sign and hired the carpenter to make this sign for the winery. 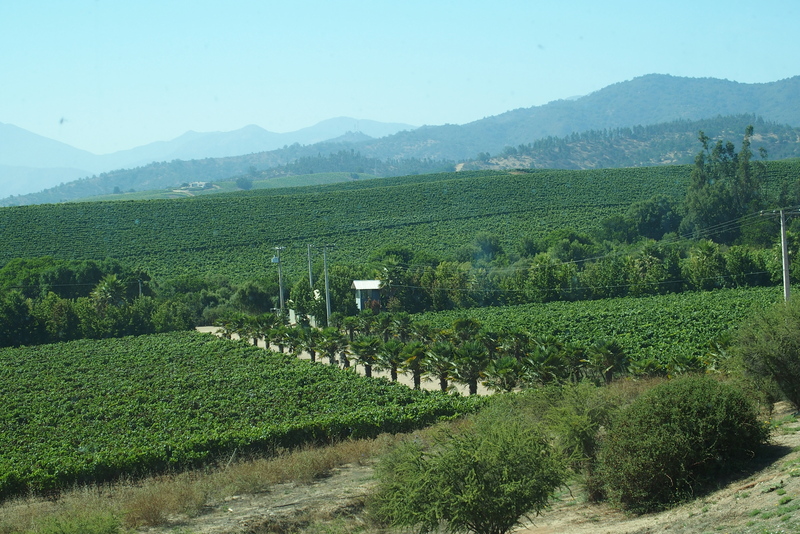 Kingston was identified as one of the best Chilean wineries to visit and it was on our route between Santiago and Valparaiso. Surprisingly we found out we had a personal connection by way of Upper Michigan. 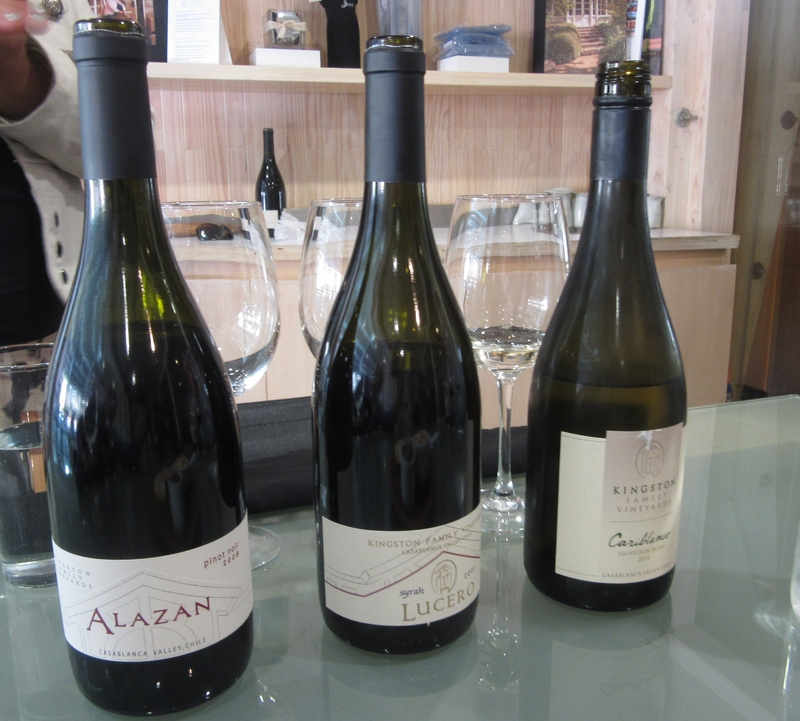 We also discovered excellent red wines and the best Chardonnay we’ve tasted anywhere in the world. The wines are named after the family’s original horses. 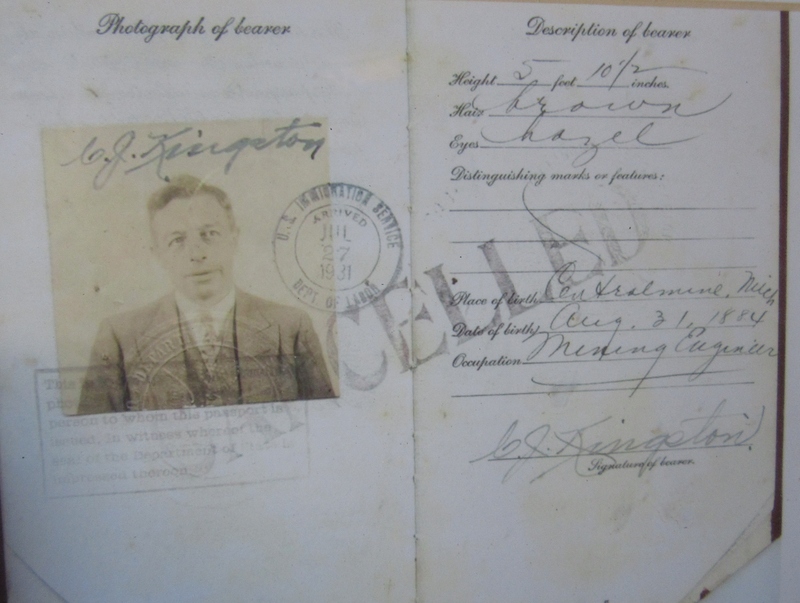 The connection story starts with Carl John Kingston, a mining engineer who graduated from Michigan Tech (Nancy’s alma mater) in 1906 when it was known as the Michigan Mining School. 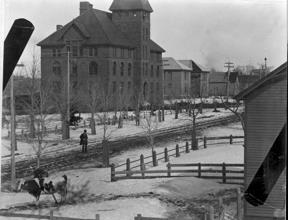 CJ’s granddaughter-in-law Louise provided this photo of a cow on the campus around the time Kingston attended Michigan Mining School. MTU is now in this location. Kingston could have stayed in the Keweenaw Peninsula to work at Calumet and Hecla Mining Company or Quincy Mine (which overlooks MTU campus). After all, the Houghton area was and is Copper Country. These Michigan mines were among the world leaders in copper production in the late 1800s and early 1900s. 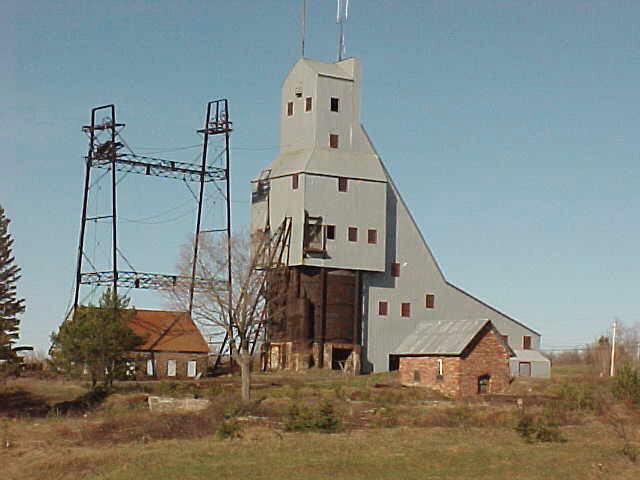 Quincy Mine, once a booming enterprise, now one of the most recognizable sites near Michigan Tech. Instead of staying close to home, Kingston traveled more than 4,000 miles as the crow flies to Peru to work as an assayer at Cerro de Pasco Mining Company (in the news recently). Several other Michigan Mining School graduates were already in Peru. Their travels in the days before modern air transportation took months and included passage by boat around the southern tip of South America, a much longer and more treacherous journey than our jet flight. CJ had met and married an American woman, Caroline Los Kamp, while working for the mining company. 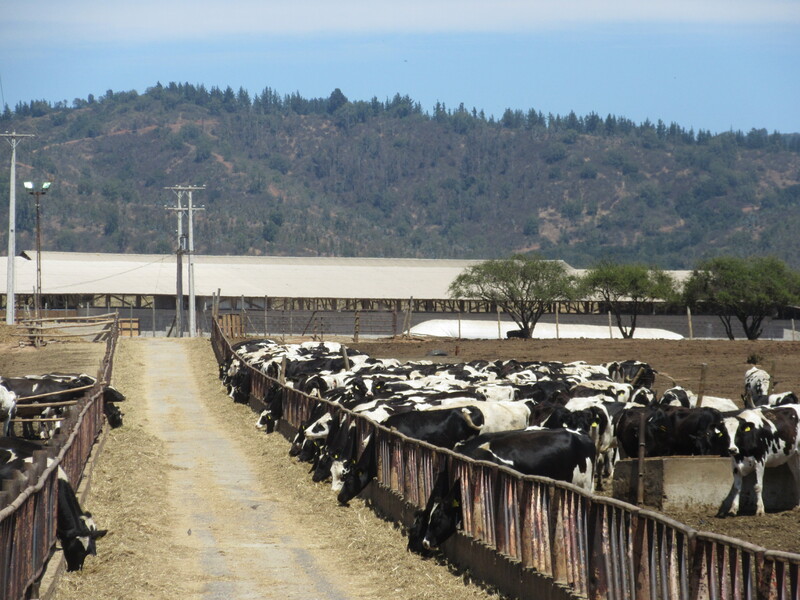 On their Casablanca farm they raised their family and dairy cows. Third-generation Kingstons, Michael, CJ II, and Peter, and their horses whose names would become famous as great wines. Carl John’s granddaughter, Sally Kingston, returned to Chile after college and married Enrique Alliende. Enrique’s Chilean university studies were in agribusiness. Sally and Enrique now live in Santiago, but every week they spend time at the casa patronal on the farm, managing the overall operation (dairy, beef herd, etc.) Their daughters and families also live in Santiago. So the Kingstons are very much a bi-national family. Now the large farm is 8,000 acres and the family has 2,500 cows. Kingston dairy cows. Perhaps the cow on the Michigan campus foretold greater success with dairy than with copper. Several generations of Kingstons have lived part-time on the farm and part-time in the US. Carl and Caroline sent their son John Carl to Harvard. The next generation went to Yale, Princeton, Vassar, and Sweet Briar. In the fourth generation, Courtney Kingston attended Stanford for her MBA. Living near the Californian wine areas and appreciating the environment of her family’s large Chilean farm, she created a business plan to establish vineyards and a winery on the property. We hope she earned an “A,” for it has turned out to be a great success, one might say “a gold mine”! Kingston grapes as far as the eye can see. Courtney partnered with California winemaker Byron Kosuge to establish Kingston Family Vineyards. 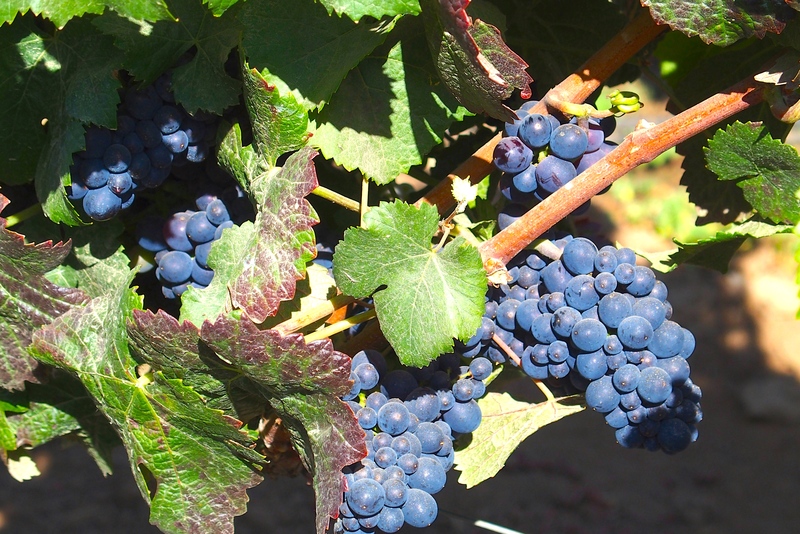 While much of the Casablanca region offered white wines, the pair decided to introduce Pinot Noir and Syrah grapes in 1998. The first Kingston wines were produced for sale in 2003. Kingston grapes today just about ready for harvest..
Kingston selects the best of its grapes for its private label wine and sells the rest of the harvest to 19 other high-quality wineries. 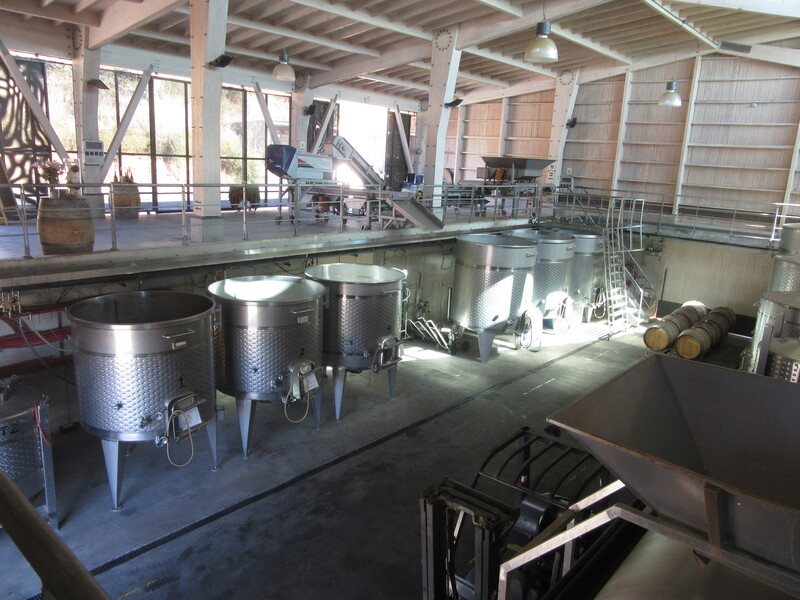 As a boutique winery, Kingston has a few operations that are different from some of the big wineries we’ve visited. 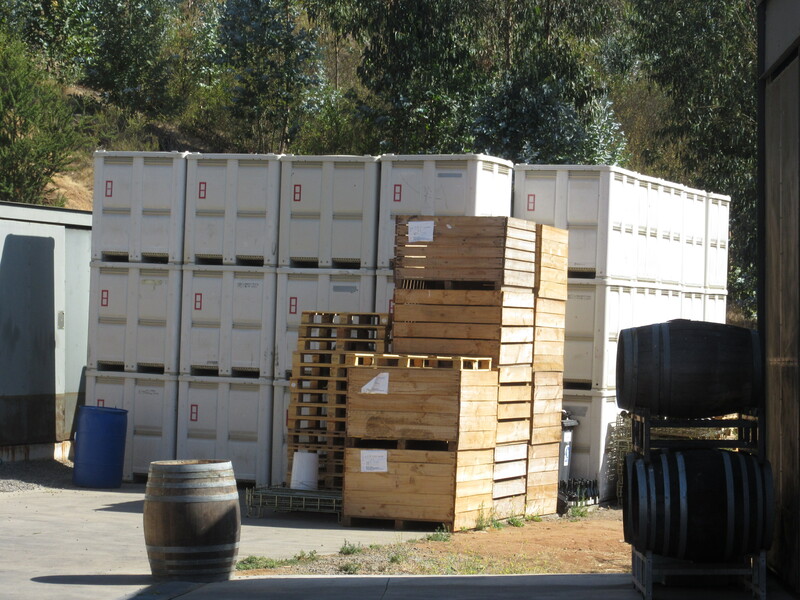 At harvest time the blocks are brought inside for a few days of cold fermentation and then held and tested individually. I asked, and yes, there is some footstomping to break up the grapes for optimal fermentation. 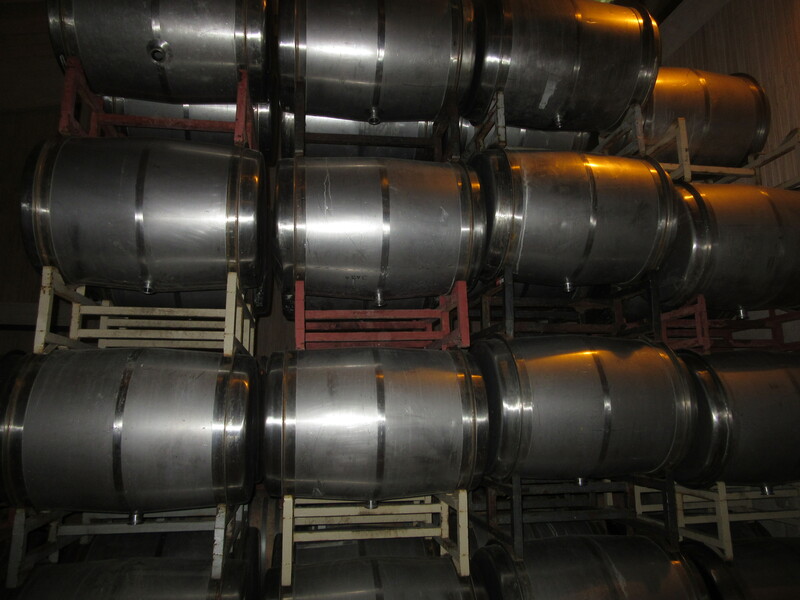 Sauvignon blanc is aged in steel barrels rather than large tanks. The civil engineers at Michigan Tech who participate in concrete boat racing would be impressed by another practice. 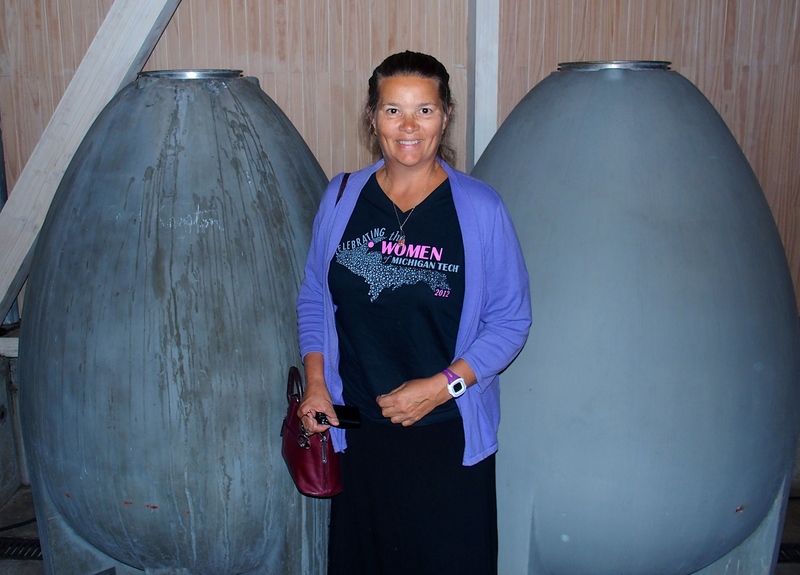 Kingston uses concrete eggs to ferment some of the Chardonnay. The shape means no dead spaces as in traditional tanks and barrels. Some of the grapes are fermented in French oak barrels for rich flavor. Then the two portions are blended in specific percentages to give optimum flavor. It’s good, we agree wholeheartedly! The tanks, pipes, and other equipment in the winery would fit well in Doc Bredekamp’s chemical engineering unit operations lab at MTU. The tour was excellent and the tasting superb. The Kingston wine was so good, we purchased 2/3 of 0.1% of the output, a couple cases to be shipped to the US. The vineyard produces about 3,000 cases with the Kingston label and is on its way to doubling that amount. A tasting of Kingston wines with “hand-made” quality. We know Kathy would like the full-bodied reds. The vineyard is planning on organic certification within a year or two. Currently one invasive beetle without any natural predators requires a small amount of pesticide. There is an organic solution. Chickens will be brought in to eliminate the beetle. The result will be organic grapes fermented in huevos and organic huevos made alongside the grapes. The Kingstons are very generous in sharing their story. In one more “small world” connection, we learned that just a week or so before our visit, a dozen Global Studies students from Bentley University visited Chile and spent some time at Kingston Family Vineyards. Michael graduated from Bentley (as did his brothers Stephen and Tom) so it’s a double alumni connection. 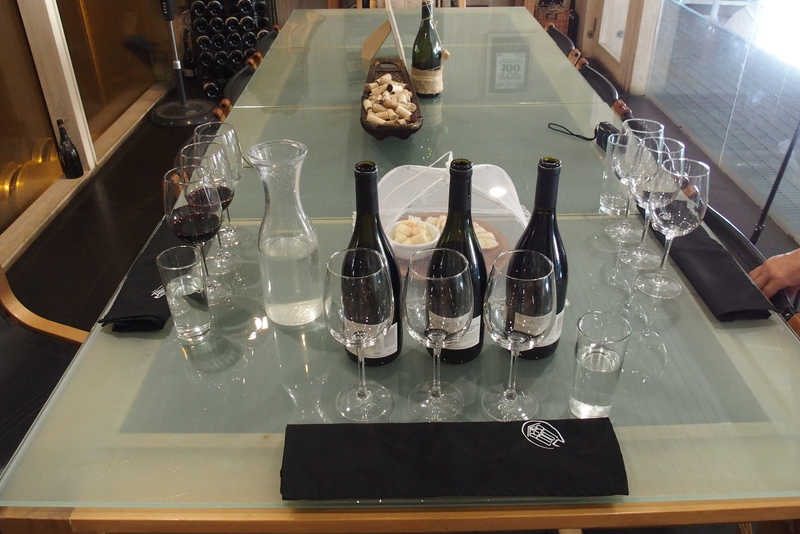 We certainly enjoyed our visit and would love to be able to return to Kingston Family Vineyards on a regular basis. If only it weren’t so far away! Grapes, roses, and palm trees in the Kingston Family Vineyards. Reluctantly, we leave the palm trees and grapes of Casablanca to explore more of Chile. This entry was posted in Smell the Roses, Travel Journal and tagged Casablanca, Chile, Kingston Family Vineyards, Michigan Tech, wine. Bookmark the permalink. And NOW you have visited the Bush library. I was just a little early saying so in September 2014. How time flies! We visited Kingston in October precisely because of their Michigan connection. It was well worth the visit. What a fantastic blog! I’m working on a Michigan Tech Magazine story about all our alumni who have wineries, breweries – and possibly distilleries, although I haven’t found any of those yet. Thank you for letting us know about Kingston. I’ll be contacting Courtney and if possible would like to propose to my editors including your blog as a link in our overall story presentation. If more questions or comments you can always email me at cmperkin@mtu.edu Cheers! Thanks, Cyndi. Including the blog as a link would be great. I’ll be on the lookout for any other spots as we travel back across the US.